Dual Geyser Jets offer the most vigorous foot massage with up to 160 gpm of focused flow. 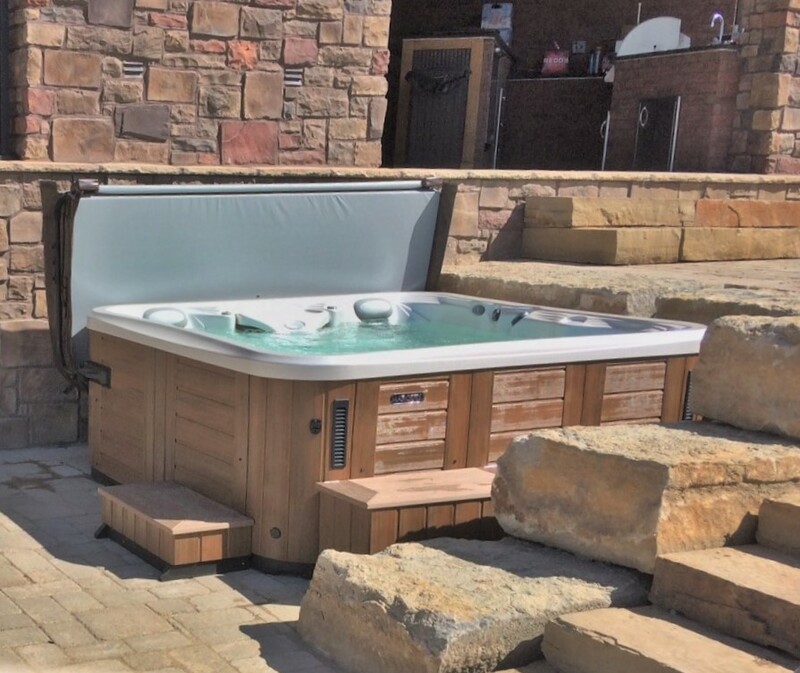 Spacious reflexology footwell keeps this tub comfortable with all seats occupied. Tri-zone diverters focus the flow with three H.O.T zones (lumbar, shoulders, feet). Average fill volume: 450 Gal.